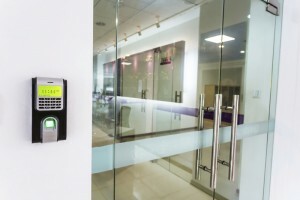 Access control systems used to be limited to a hardwired connection for communication between the central hub and individual access points. But as communication technology has improved, access control systems are now able to use wireless, WiFi, and hybrid connections. This means more flexibility in installation options for end users. Is there a best communication method to use? Not necessarily. The connection an end user chooses to use depends on several factors such as the layout of the building, the degree of security needed, and of course, costs, to name a few. In this week’s blog, we’ll talk about the different connections available for access control systems, and the situations in which they can best be applied. Wireless and WiFi may be getting all the buzz, but wired systems continue to be a major player in access control, and will be for some time. Why? Simply put, there is no more reliable option than a wired system. Wired systems do not suffer from interference (as wireless networks can be), and allow security personnel to instantly access, review, and modify security protocols across the system when necessary. All activity and system statuses are recorded instantly. Wired systems also require the least maintenance in the long run. The drawback to wired systems is installation. Installing a wired system is complex and requires a number of third-party contractors to do correctly. Depending on the age or structure of the building, installation of a wired access control system may not be possible. Wired systems are generally reserved for those facilities with the highest and most demanding security needs, such as government buildings, schools, and hospitals. First, a clarification about the term wireless. In reality, wireless systems are a hybrid of wired and wireless solutions. The main control panel has a hardwired connection to hubs throughout the building. These hubs then communicate wirelessly with the access control points they’re given to control. Improvements in wireless technology have made wireless access control systems much more viable than they were in the past. Transmission distance, battery life, installation, and overall performance have all been improved even in the just the past few years. Wireless systems are an ideal solution in situations where a completely wired solution is not practical. Many retrofits are completed with wireless access control systems. In many cases they can be integrated with existing access control infrastructure. The drawbacks are a slight reduction in reliability when compared to wired systems, as well as slightly higher maintenance costs over time. WiFi access control systems are completely wireless, and can utilize the existing WiFi network in the building. They are the easiest to install, and are an ideal solution for old, challenging buildings where wired or wireless access control installation would be impractical. WiFi systems enjoy the most affordable installation and operating costs. There are however, a number of drawbacks. WiFi systems have a limited range (50-150 feet), and quality can degrade as range increases. Other RF signals can interfere with the system and render it inoperable until the interference is dealt with. Problems with the network can affect the performance of the system. It’s for these reasons that WiFi access control may be more attractive to end users who are seeking an auditing solution as opposed to a high-security one. WiFi offers all of the tools needed to audit access points to locations in a facility at an affordable price point. This entry was posted on Wednesday, April 8th, 2015 at 8:46 pm. Both comments and pings are currently closed.